Check out Tobi's All The Feels Cable Knit Sweater Introducing a knit that won't quit for the fall season. 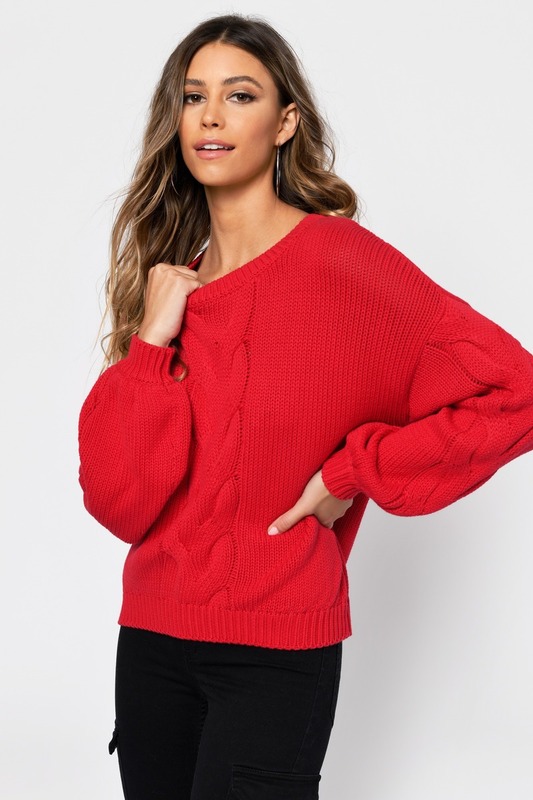 The All The Feels Cable Red Knit Sweater is a slouchy sweater you won't want to take off, featuring a gorgeous twist knit pattern in the center, oversized balloon sleeves, and a boat neck. Pair with a high waisted skirt or tuck in mom jeans for an on-trend look. Introducing a knit that won't quit for the fall season. 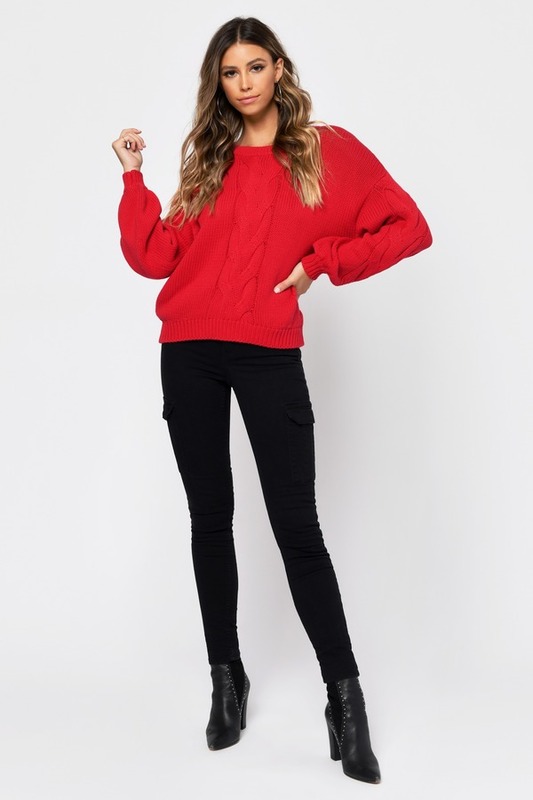 The All The Feels Cable Sienna Knit Sweater is a slouchy sweater you won't want to take off, featuring a gorgeous twist knit pattern in the center, oversized balloon sleeves, and a boat neck. Pair with a high waisted skirt or tuck in mom jeans for an on-trend look. Introducing a knit that won't quit for the fall season. 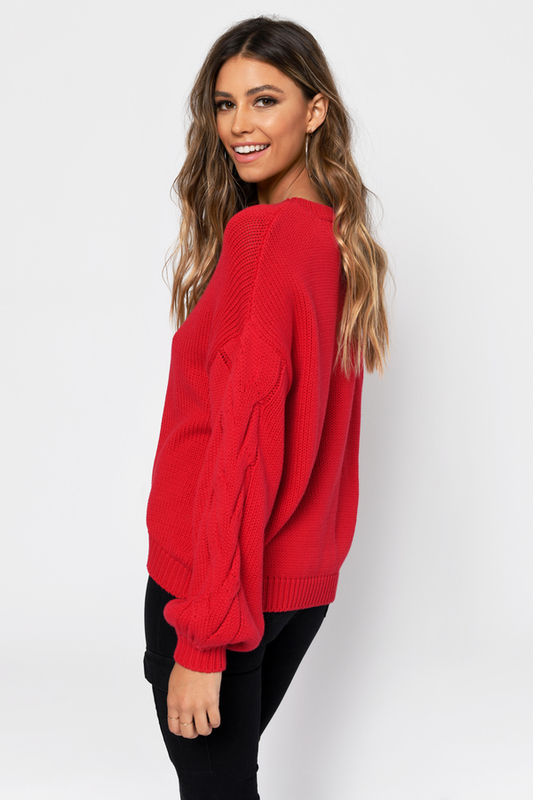 The All The Feels Cable Red Knit Sweater is a slouchy sweater you won't want to take off, featuring a gorgeous twist knit pattern in the center, oversized balloon sleeves, and a boat neck. Pair with a high waisted skirt or tuck in mom jeans for an on-trend look. Introducing a knit that won't quit for the fall season. 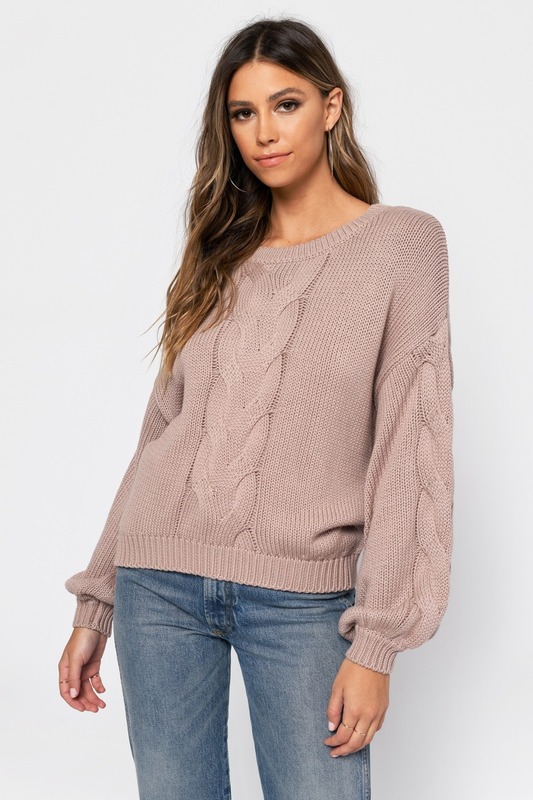 The All The Feels Cable Beige Knit Sweater is a slouchy sweater you won't want to take off, featuring a gorgeous twist knit pattern in the center, oversized balloon sleeves, and a boat neck. Pair with a high waisted skirt or tuck in mom jeans for an on-trend look.